Determine year-to-year ecological variability in these systems and measure long-term changes. Understand the extent of control by resources (bottom-up control) or by grazing and predation (top-down control). Measure rates and understand the controls of the exchange of nutrients between land and water. The Arctic LTER research site is in the foothills region of the North Slope of Alaska and includes the entire Toolik Lake watershed and the adjacent watershed of the upper Kuparuk River, down to the confluence of these two watersheds. This area is typical of the northern foothills of the Brooks Range, with continuous permafrost, no trees, a complete snow cover for 7 to 9 months, winter ice cover on lakes, streams, and ocean, and cessation of river flow during the winter. Tussock tundra is the dominant vegetation type but there are extensive areas of drier heath tundra on ridge tops and other well-drained sites as well as areas of river-bottom willow communities. The North Slope is divided into the Coastal Plain (6,000 km2), the Foothills (95,000 km2), and the Mountains (40,000 km2). The Arctic Long-Term Ecological Research (ARC-LTER) project is one of 24 LTER projects in North America, Puerto Rico, and Antarctica. The Arctic LTER's field research site is based at University of Alaska's Toolik Field Station, Alaska, in the northern foothills of the Brooks Range (68° 38'N, 149° 43'W, elevation 760 m). The foothills are characterized by continuous permafrost, no trees, 24 hour sunlight during short cool summers, periods of complete darkness during long cold winters (graph) and numerous pristine lakes and streams. Tussock tundra is the dominant vegetation but there are extensive areas of wet sedge tundra, drier heath tundra on ridge tops and other well-drained sites as well as areas of river-bottom willow communities. The year-round base of the Arctic LTER project is at the Ecosystems Center of the Marine Biological Laboratory (MBL) in Woods Hole, Massachusetts. The Principal Investigator of the Arctic LTER is Gus Shaver while Breck Bowden, Laura Gough, Anne Giblin, Phaedra Budy and George Kling form an executive committee and direct the four main components of the research including groups focused on tundra, streams, lakes, and landscape interactions. The goal of the Arctic LTER project is to predict the future ecological characteristics of the site based upon our knowledge of the controls of ecosystem structure and function as exerted by physical and geologic factors, climatic factors, biotic factors, and the changes in fluxes of water and materials from land to water. To achieve this goal the Arctic LTER uses several approaches: Long-term monitoring and surveys of natural variation of ecosystem characteristics in space and time. Includes: climate, plant communities and productivity, thaw depth, stream flow, chemistry of streams and lakes, temperatures of streams and lakes, lake chlorophyll lake productivity, zooplankton abundance. Experimental manipulation of ecosystems for years and decades. Includes: tundra warming, shading, and fertilizing, grazer exclusions, fertilization of lakes and streams, addition and subtraction of predators. Synthesis of results and predictive modeling at ecosystem and watershed scales. Includes: stream N cycling, lake physics, bioenergetics of fish populations, water movement and transfer of DOC and nutrients from land to water, soil respiration, cycling and storage of C in tundra under different scenarios of future climates. The key event in the development of research in the Upper Kuparuk/Toolik Lake region was the construction of the Alaska oil pipeline and Haul Road (later named the Dalton Highway) in 1974- 1976 (Alexander and VanCleve, 1983). Before that time, access to interior regions of the North Slope was limited by the lack of roads and the small number of widely scattered locations where aircraft (mostly fixed-wing) could land, take off, and be fueled or serviced. Completion of the Haul Road in September 1974 suddenly opened up a magnificent environmental transect across the heart of northern Alaska. Toolik Lake and the Upper Kuparuk River lie near the center of this transect, and ecologists and other environmental scientists were quick to exploit the opportunities for new research in the surrounding area. The key event in the development of research in the Upper Kuparuk/Toolik Lake region was the construction of the Alaska oil pipeline and Haul Road (later named the Dalton Highway) in 1974- 1976 (Alexander and VanCleve, 1983). Before that time, access to interior regions of the North Slope was limited by the lack of roads and the small number of widely scattered locations where aircraft (mostly fixed-wing) could land, take off, and be fueled or serviced. Completion of the Haul Road in September 1974 suddenly opened up a magnificent environmental transect across the heart of northern Alaska. Toolik Lake and the Upper Kuparuk River lie near the center of this transect, and ecologists and other environmental scientists were quick to exploit the opportunities for new research in the surrounding area. Before 1974, ecological research on the North Slope was concentrated in coastal areas, near established villages such as Barrow or exploration camps such as the one at Prudhoe Bay (Alexander and VanCleve, 1983; Everett, 1980). The most intensively-studied area was near Barrow, where the Naval Arctic Research Laboratory (NARL) was established in 1947 (Love, 1973; Reed, 1969). Over the next 25 years, NARL served as the base for an extensive series of studies of the biology, geology, and climate of arctic tundra (Britton, 1973). Ecological research at NARL peaked in 1970-1974, when the Tundra Biome Study was based there (Brown et al., 1980; Hobbie, 1980; Tieszen, 1978) as part of the U.S. International Biological Program (Blair, 1977). As a result of this work at Barrow the basic patterns of structure and function of Alaskan tundra and aquatic communities were described, and studies of controls on fundamental ecosystem processes such as photosynthesis and decomposition were initiated. A key characteristic of the research at Barrow before 1975 (particularly the Tundra Biome Study) is that it often involved multiple investigators working together on different components of the same ecosystem. The advantages of this integrated approach to understanding arctic ecosystems were major influences on later work based at Toolik Lake; many of the ecologists who worked there were trained while working on the Tundra Biome Study at Barrow. Additional intensive studies at Cape Thompson (Wilimovsky and Wolfe, 1966) and at Prudhoe Bay (Brown, 1975) provided early information on regional variation in the coastal ecosystems of the North Slope. As the Prudhoe Bay oil field developed, an extensive mapping program led to a detailed atlas of this region (Walker, 1985; Walker et al., 1980). Throughout the 1950s, 1960s, and 1970s, researchers from NARL also completed extensive descriptive surveys of soils, vegetation, limnology, geology, and permafrost of the coastal plain and foothills of the North Slope (separately reviewed in Britton, 1973). However, with the exception of a few relatively isolated studies (e.g. Bliss, 1956; Brown, 1962; Hobbie, 1962; Ugolini and Tedrow, 1963), detailed information on the ecology of interior regions of the North Slope was lacking until construction of the oil pipeline began in the summer of 1974. Intensive research in the Upper Kuparuk/Toolik Lake region began in the summer of 1975, when a group of aquatic ecologists set up a small camp on a disused airstrip near the outlet of Toolik Lake. Most of the members of this group, led by John Hobbie of the Marine Biological Laboratory, had just finished the Tundra Biome Study at Barrow (Hobbie, 1980). Toolik Lake was chosen for study because the group was looking for an easily accessible, large, deep arctic lake to compare with the small, shallow coastal ponds they had studied previously. 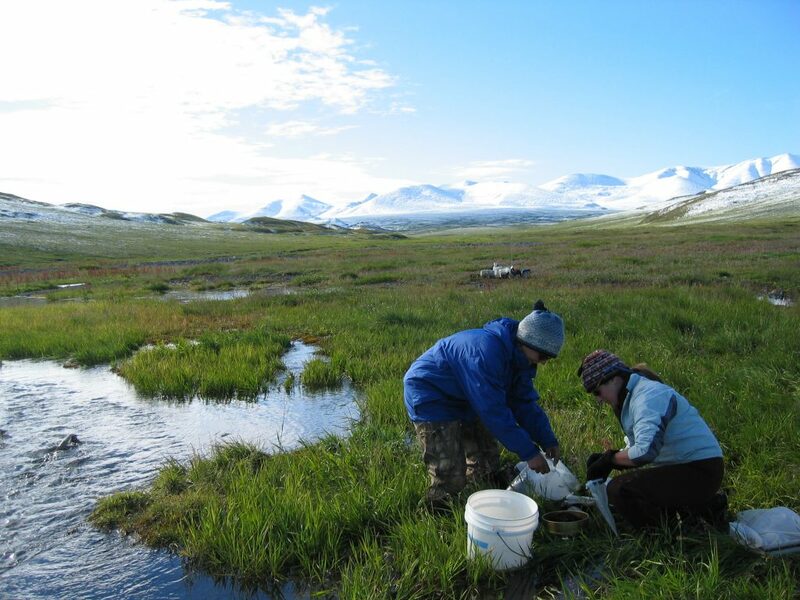 The initial, three-year program of aquatic research was called the RATE program (Research on Arctic Tundra Environments) and was supported by the National Science Foundation. The RATE project was followed by a series of other projects focusing, in succession, on controls over key ecosystem processes ("ALPS", the Arctic Lake Process Study) and on experimental manipulations of aquatic ecosystems ("TAPS", or Tests of Arctic Predictions). These projects were also supported by the National Science Foundation, with additional support in the late 1970s from DOE (the Dept. of Energy) for research on effects of oil spills (e.g. Atlas and Brown, 1978; Miller et al., 1978; 1986). The current LTER (Long Term Ecological Research) program at Toolik Lake, which began in 1987, is largely based on this foundation of aquatic research. Remarkably, most of the original group (Hobbie, Bruce Peterson, John O'Brien, Mike Miller) have stayed together over the 22-year period from 1975- 1996. In all, nearly 200 publications and theses have resulted from research on aquatic ecosystems in the Upper Kuparuk/Toolik Lake region. The initial aquatic research focused on basic descriptions of the biology and biogeochemistry of Toolik Lake itself and surrounding lakes and ponds. Studies of the nitrogen, phosphorus, and carbon cycles were completed (Whalen and Cornwell, 1985; Miller et al., 1986), and the trophic structure and food webs were described (Hershey, 1985; Hobbie et al., 1983; O'Brien et al., 1979). One key early finding was that the trophic structure of lakes and ponds in the region was strongly affected by the presence or absence of a top predator, lake trout (O'Brien et al., 1979). 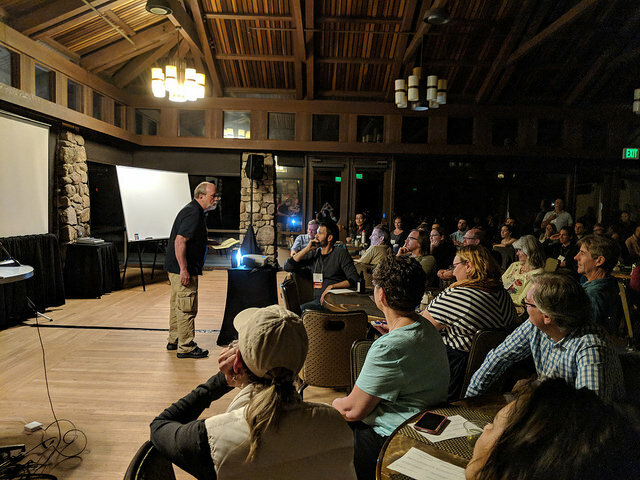 This finding, coupled with the expected demonstration that N and P inputs to the lake were extremely low, led quickly to the development of an approach in which "top-down" versus "bottom-up" controls on aquatic ecosystems were compared (O'Brien et al., 1992). The aquatics research program soon expanded to include research on arctic streams as well as lakes. In 1978, Bruce Peterson began working on the Kuparuk River and found that it, too, was strongly nutrient-limited (Peterson et al., 1983; 1985). This result led to a long-term stream fertilization study in which the effects of nutrient addition were traced through the stream food web ( Hershey et al., 1995; Peterson et al., 1993). As the fertilizer treatment (addition of P as phosphoric acid) has continued, the food web and the productivity of the stream have continued to change; almost none of these later changes could have been predicted from the initial responses of the stream to fertilizer treatment (e.g. Bowden et al., 1994). Terrestrial researchers also moved quickly to take advantage of the access to the interior provided by the oil pipeline and Haul Road. Although the main terrestrial group from the Tundra Biome study at Barrow chose to continue their work at Atkasook, on the northern coastal plain (Batzli, 1980), in 1975 this group also completed an ecological survey and reconnaisance of the area along the pipeline corridor (Brown, 1975). Ecological baseline studies of this kind continued through the mid to late 1970's, with a particular emphasis on documentation of construction-related disturbance and recovery of tundra plants and ecosystems (Brown and Berg, 1980; Chapin and Shaver, 1981; Johnson, 1981; Walker et al., 1987). Much of this research was coordinated by Jerry Brown, of the US Army Cold Regions Research and Engineering Laboratory, with support from NSF, DOE, the US Army Research Office, and the US Army Corps of Engineers. Toolik Field Station, initially set up to support aquatic researchers at Toolik Lake, soon became known as a convenient spot for terrestrial researchers to camp as well (and occasionally to borrow some indoor laboratory space or eat a warm meal). By 1979, terrestrial ecologists were using the Station as a summer-long base camp. The initial work done there focused on nutritional controls over tundra plant growth (Chapin and Shaver, 1985; 1988; 1989; Chapin et al., 1986; Shaver et al., 1986), and on the broad patterns of nutrient limitation in tundra vegetation (Shaver and Chapin, 1986; 1995). Research on the responses of native tundra species to both natural and artificial disturbances also continued (Fetcher and Shaver, 1983; Gartner et al., 1983; 1986; Mark et al., 1985). 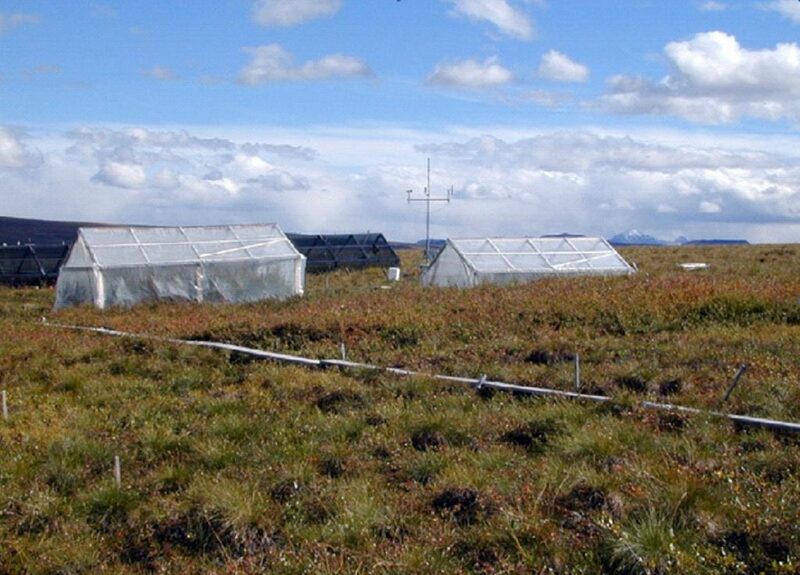 Because this early work on tundra plants and vegetation indicated that strong nutrient limitation of plant productivity was ubiquitous on the North Slope, the research soon expanded to include research on soil-plant interactions and soil processes. Chapin, Linkins, and Everett, for example, investigated why plant production was consistently higher in water tracks (areas of high surface- and soil-water flow) and found that availability and uptake of soil nutrients, particularly N, was higher there (Chapin et al., 1988). 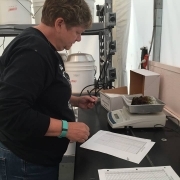 Shaver, Giblin, and Nadelhoffer followed up with more detailed studies of soil processes along a riverside toposequence, finding dramatic differences in nutrient availability and soil processes such as N and P mineralization and respiration (Giblin et al., 1991; Nadelhoffer et al., 1991). One of the most remarkable results was the finding by Kielland and Chapin (1992) that tundra plants are apparently capable of taking-up N in organic form, as free amino acids, rather than relying on strictly inorganic forms of N such as ammonium or nitrate. For at least some species, organic N uptake may account for as much as half of the total plant N supply (Kielland, 1994; Kielland and Chapin, 1992). The first integrated, multi-investigator study of terrestrial ecosystems to be based at Toolik Lake was the "R4D" study supported by the US Department of Energy during the late 1980's. The justification for this study was defined in a major review of the needs of arctic research, completed by the National Academy of Sciences in 1982 (NAS, 1982). The overall focus of the study, following the NAS recommendations, was on Response, Resistance, Resilience, and Recovery from Disturbance (R4D) of tundra ecosystems. 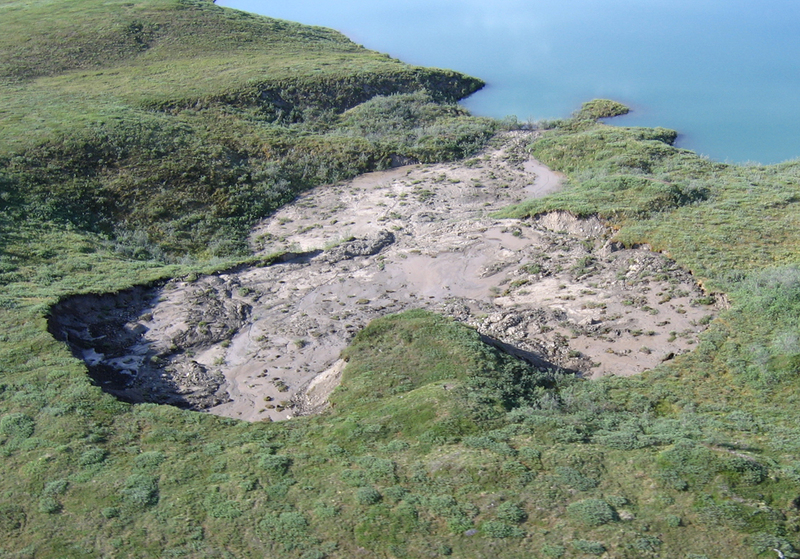 The principle study site was a single, first-order watershed at Imnavait Creek, about 10 km northeast of Toolik Lake. 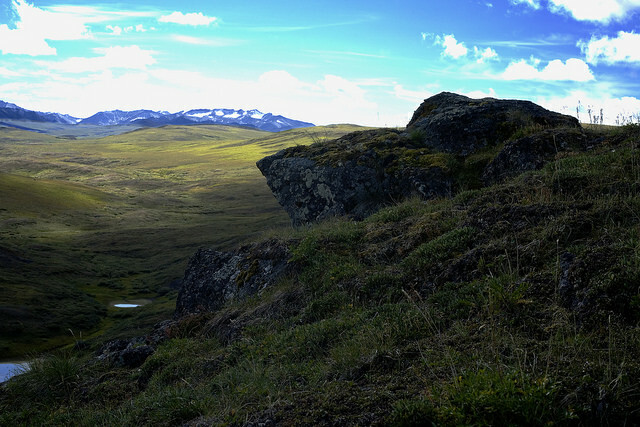 The aims of the R4D study were to develop an understanding of the effects of disturbance on tundra ecosystems that was based on a fundamental understanding of ecosystem processes, that was predictive and could be generalized to other sites within the arctic, and that included an understanding of the interactions and exchanges between neighboring ecosystems within a heterogeneous arctic landscape (Reynolds and Tenhunen, 1996). Meeting these aims required the collection of a large amount of basic data on landscape and ecosystem structure, and on ecosystem processes such as photosynthesis, respiration, and element cycling. Synthesis of this information was achieved through development of computer models and a heirarchical geographic information system for the study site. Products of the R4D research were many and varied, with a major collection of individual papers published in an issue of the journal, Holarctic Ecology (Oechel, 1989), and an overall synthesis in a book (Reynolds and Tenhunen, 1996). Highlights included the development of spatially explicit models for the spread of disturbance effects over the tundra landscape (e.g. Leadley et al., 1996; Ostendorf et al., 1996), a detailed primary production model (Tenhunen et al., 1994), and the development of a broad conceptual model integrating disturbance effects and responses over a wide range of both natural and anthropogenic disturbances operating at a wide range of time and space scales (Walker, 1996; Walker and Walker, 1991). The geographic information system and landscape classification and mapping schemes that were developed in the R4D project (Walker and Walker, 1996) laid the foundation for this Atlas, in combination with earlier mapping studies at Prudhoe Bay and in the Arctic Wildlife Refuge (Walker et al., 1980; 1987). Other climate change researchers focused on the controls over fluxes to and from the atmosphere of methane, another important greenhouse gas, in the landscape near Toolik Lake. Whalen and Reeburgh (1990; 1992), for example, showed that while wet tundra sites released large amounts of methane, in dryer sites the activities of methanotrophs led to a net methane consumption. Controls on these processes were studied in more detail by Christensen (1993; Christensen and Cox, 1995). Chapin, Shaver, and coworkers, meanwhile, completed a suite of experiments designed to assay the long-term responses of moist tussock tundra ecosystems to several predicted changes in the arctic climate, including increased temperature, increased cloudiness (reduced light), and increased nutrient deposition. These experiments ran for 9 years and included small field greenhouses, artificial shading, and fertilizer addition. The principal conclusion was that temperature and light had relatively minor effects on total biomass and C storage in the moist tussock tundra although they did have a major impact on species composition (Chapin and Shaver, 1996; Chapin et al., 1995; Shaver and Chapin, 1991). Fertilizer treatment had by far the largest impact on vegetation biomass, production, C storage, and species composition, leading to a much more productive community dominated by dwarf birch, Betula nana. Results of this work were synthesized into a simple conceptual model of C-nutrient interactions in tundra ecosystems (Shaver et al., 1992), in which changes in the tundra C budget are tightly constrained by characteristics of the tundra N cycle. Further work with a computer simulation model suggested that long-term responses to climate change would be largely controlled by these C- N interactions (Rastetter et al., 1992; in press). The role of animals in the ecology of the Toolik/Kuparuk region has received relatively little attention thus far, although there have been a number of individual studies. Batzli and coworkers, for example (Batzli and Henttonen, 1990; Batzli and Lesieutre, 1991; 1995), studied the distribution and food requirements of lemmings and voles and showed that the distribution of the various species was closely related to differences in their food supply. Barnes (refs) studied the physiology and reproductive biology of arctic ground squirrels, with the remarkable finding that during hibernation, the squirrels are capable of supercooling their blood (i.e., their body temperatures drop below freezing). Wingfield and coworkers (refs) have carried out a long series of studies of the physiology of nesting birds at Toolik Lake. As a result of its extensive background of research, the Upper Kuparuk/Toolik Lake region is now one of the most thoroughly- studied sites within the Arctic region, which makes it even more attractive as a base for new research programs. Many of the researchers who began working there in the 1970's, on both aquatic and terrestrial projects, are still working there in association with the Arctic LTER (Long Term Ecological Research) project, part of a network of 18 LTER sites supported by the US National Science Foundation throughout the US, Puerto Rico, and Antarctica (Callahan, 1984; Franklin et al., 1990). 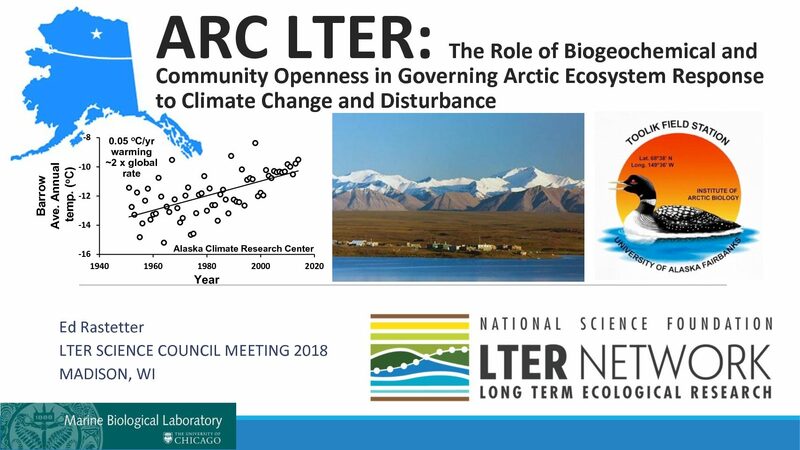 A major theme of the Arctic LTER group continues to be the analysis of results of long-term, whole-ecosystem experiments, along with monitoring of key ecological variables over long time periods. A growing emphasis in the LTER research is the linkages between terrestrial and aquatic ecosystems, which requires a scaling-up of knowledge from individual plots, lakes, and streams to larger watersheds and heterogeneous landscapes (e.g. Shaver et al., 1991; Kling, 1995). 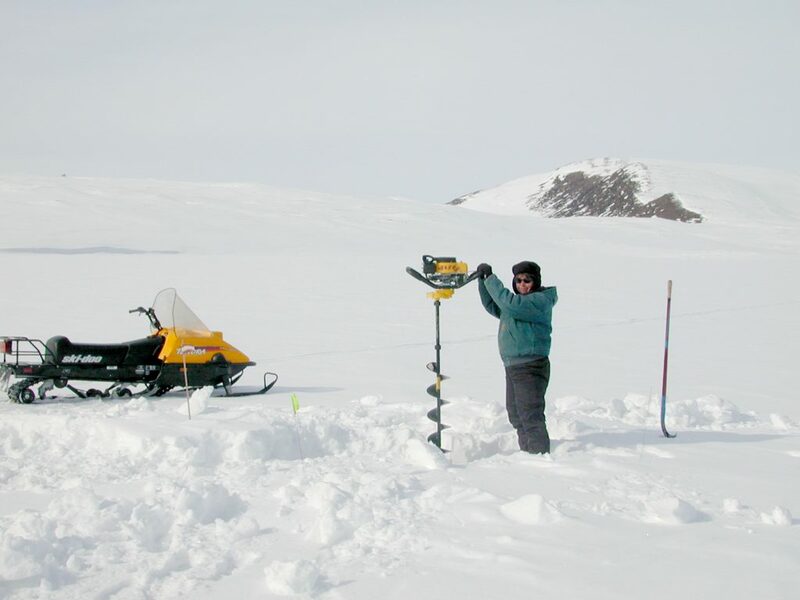 Another large, new program, the Arctic Systems Science Land-Atmosphere-Ice Interactions (ARCSS-LAII) program, has also based two of its projects at Toolik Lake in the early 1990s. Both projects focus on the theme of broad, regional patterns and processes within the Arctic. One project, the ARCSS "Flux" project, includes 9 investigators ranging from mesoclimatic modelers to soil chemists. The focus of this project is on landscape-to-regional fluxes of carbon, water, and energy, using the entire Kuparuk watershed (from its headwaters in the Brooks Range to its mouth at Prudhoe Bay) as a case study. The second project, the "ITEX" (International Tundra Experiment) project, involves 5 investigators at Toolik Lake and about 2 dozen others working at over 25 sites throughout the Arctic. The aim of the ITEX project is to perform a single, simple experiment at many different sites, in order to understand how arctic plants and ecosystems might vary in their responses. The current ITEX experimental design involves warming of the air in a small open-topped chamber, but at Toolik Lake the US investigators have incorporated this manipulation into larger designs including manipulation of snowcover and snowmelt as well as the LTER manipulations of nutrient availability, light, and air temperature. Clearly, even more information about the ecology of the Upper Kuparuk/Toolik Lake region will be available in the future, coming not only from these large programs and projects but also from individual investigators who continue to use the Toolik Field Station as a base for their research. Many of the investigators who work there have committed a major portion of their careers to work at this site, with great success.